Is The Clarisonic Brush Harmful Or Helpful To The Skin? Updated 1/16/18. Let me start by saying that I normally don’t do reviews of other skin care products. 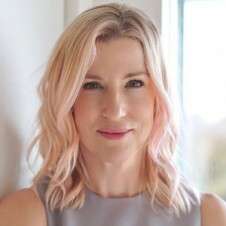 I generally use my blog as a place to share my expert skin tips and advice that I’ve learned from being an esthetician for 30 years, but I leave product reviews for all of the great beauty bloggers out there. Clarisonic is a skin care tool sold at specialty beauty stores that uses a soft, gentle brush that oscillates back and forth over the skin. It claims to “remove six times more makeup than cleansing by hand.”Yet to me, Clarisonic is really just an exfoliating tool to physically lift off dry skin cells and, in the process, remove dirt and makeup. 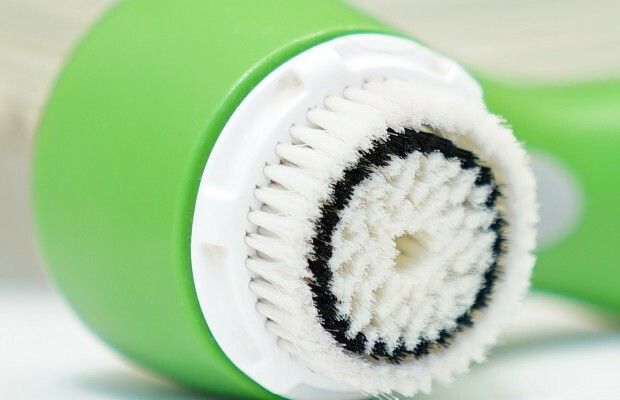 Exfoliation is the action that the bristles create when rubbed over the skin. My problem with Clarisonic is not the brush itself because the exfoliating benefits are very important, but I have a serious concern with how often they recommend using it. They say it’s gentle enough to use twice daily, but it is my belief that this is way too much—especially when combining with other exfoliating products you are probably already using. While it may feel gentle enough to use twice a day, you have to understand how exfoliation affects the skin. Clarisonic brush, facial scrubs, acids, enzymes, washcloths or whatever form you get yours in can cause skin damage and may lead to premature aging if used too frequently. Read my complete guide to exfoliation to learn what type of exfoliant is best for you as well as how often they should be used. How is a Clarisonic affecting my skin? Skin Fact #1: Too much exfoliation can cause dryness. Exfoliating too aggressively and too often can cause dryness and disrupt the skin’s lipid barrier. 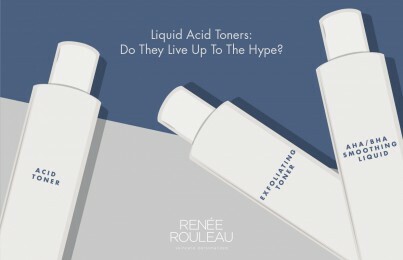 This allows moisture to seep out of the cells more easily, causing them to get dehydrated. 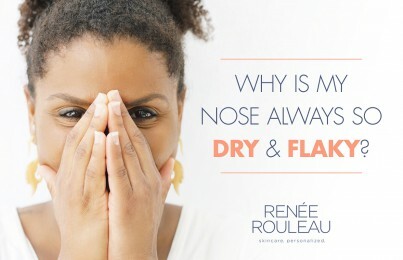 Many of my clients who I see monthly for facial treatments started complaining of dryness and irritation when their skin had been so perfectly hydrated and balanced with their Renée Rouleau skin care products. Come to find out, the dryness started to occur once they introduced the Clarisonic brush! I had already had my clients set up on a very thorough exfoliation routine, but once they added in the Clarisonic, their skin was getting too much exfoliation and that’s why the dryness and irritation occurred. Discontinuing use of Clarisonic, or cutting back its use to a few times a week quickly returned their skin to a healthy, balanced and hydrated state. Skin Fact #2: Too much exfoliation can cause chronic inflammation within the skin. Exfoliating too aggressively and too often can create inflammation (even if not visible) setting off a response to create free radicals. A major cause of aging is chronic and prolonged inflammation, associated with tissue destruction, active inflammation and attempts at healing which is why it’s essential to eat foods high in antioxidants and use skin care products with stable antioxidants. See this amazing experiment I did when I applied a vitamin C skin serum to an apple! Skin Fact #3: Skin trauma is good…occasionally. You do not want to exfoliate to the point of destroying healthy, living cells. When you give the skin trauma, the skin goes into repair mode and stimulates cellular regeneration. This can be very beneficial to the skin, but if you create trauma too often by over-exfoliating, then it’s continually setting up a cascade of free radical damage that triggers premature aging. This is the last thing that any skin needs that wants to stay looking youthful and fresh. However, professional chemical peels done a few times a year do cause trauma to the skin, and this is beneficial for the stimulation of collagen. Your skin likes boosts (a little wake-up call), just not all the time. Skin Fact #4: Too much exfoliation might stimulate melanin activity resulting in increased skin discoloration. You must use caution with physical exfoliants like Clarisonic, washcloths and facial scrubs. For skin that is extremely reactive to stimulation (deeper skin tones and for those prone to melasma), you need to treat your skin gently to avoid post-inflammatory hyperpigmentation resulting in increased skin discoloration. Skin Fact #5: Clean skin is good…to a certain point. Since Clarisonic markets itself as a cleansing tool to remove dirt and makeup, I’d like to make this point; you do want your skin hygienically clean, but not clean like you want your kitchen floor. There is a certain amount of good bacteria that the skin needs to keep it healthy and functioning well so you don’t want to strip it by over-using your Clarisonic brush. This is also why I suggest using non-drying, sulfate-free cleansers. Cleanser recommendations: only use sulfate-free gel cleansers. Find out which cleanser is right for you by taking our Skin Type Quiz or schedule a virtual consultation to get customized advice in person, over the phone or online via Skype or FaceTime. What’s the right amount of exfoliation? I discuss this in greater detail in my complete guide to exfoliation. However, I suggest using an acid serum applied to the skin several nights a week. Then, on the opposite nights, you want to give your skin a break from exfoliation (remember, you don’t want to over-exfoliate) by using a serum for your skin type to nourish and hydrate the new cells. (Recommended serum: Firm + Repair Overnight Serum is a great one if your breakout years are behind you and your main focus is to have the skin age in a healthy way.) Always use a moisturizer over the serum to seal the benefits into the skin. I also recommend using a gentle facial scrub OR your Clarisonic brush 2-3 times a week—and that’s it. The idea here is that using an acid serum will dissolve the dry skin cells while a physical exfoliant like a scrub or Clarisonic will lift off the dry skin cells. They both work differently but both are very beneficial for the health and clarity of the skin. A professional chemical peel should be performed every other month and an at-home professional-strength peel (recommended exfoliating peel: Triple Berry Smoothing Peel) should be used once a week. If you’re using a prescription retinoid, you must go very easy with a cleansing brush. Read my beginner’s guide to using retinol or prescription retinoids. Many people really like using the Clarisonic brush and I’m certainly not telling you not to use it. I simply want to inform you that using it twice daily, combined with other exfoliating products, may be harming your skin’s overall health—and this is the last thing you want when caring for your skin. And just for the record, I actually did purchase a Clarisonic brush and have used it on my skin. For me, it was too stimulating and caused some breakout activity (common in breakout-prone, sensitive skin types) so I’ll stick with facial scrubs for my physical exfoliation. But if you love it and it works well for your skin, then by all means, use it—but in moderation. I have been dismayed by what has been happening with my skin over the past month and a half. I use the Clarisonic brush twice daily, and wash with a fruit polishing cleanser and fruit extract exfoliating cleanser. For my skin, I have been using argan oil and Christie Brinkley’s new skin care line ( both of which I loved). But my skin was darkening where blemishes had,occurred, and I had several new blemishes which are still fading, but are leaving marks. This has caused me distress as I have always had nice skin, and don’t wear foundation. I consulted a dermatologist who prescribed a cream that I did not end up purchasing, as it costs $300. At this,time I have stopped everything, and went back to my “old’ routine of making my own face wash made of strawberries and almonds, ground and kept in my fridge. But what moisturizers etc. do I use, since I’m not sure all of what was causing the blemishes?. And will my skin heal and become even and,healthy again? Would love to know if this is possible, without a prescription. It sounds like your skin is simply changing and that the current routine you are using isn’t giving your skin what it needs. Of course, your skin can get clear and healthy again but you just need to make sure your skin care products are very focused to match your skin type. 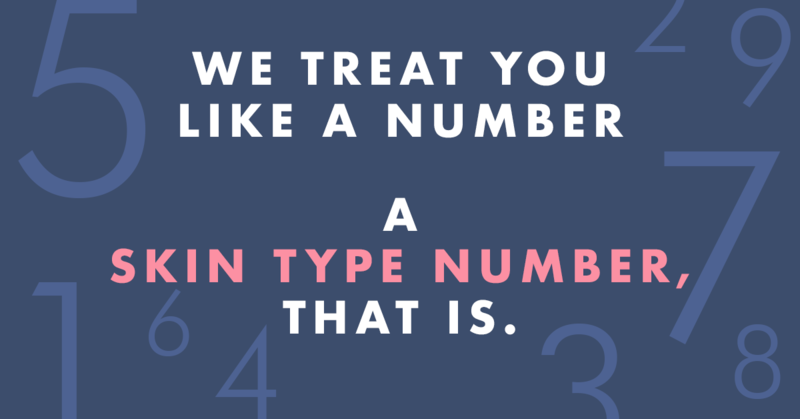 Take my Skin Type Quiz. And be sure to look through my blog for lots of great tips, too. Elizabeth, sea salt water spray is very alkalizing and alkalizes the acid in the skin. Also baking soda paste with few drops of water does to and with the severe hives on my face the Lord told me baking soda paste. I did it and actually put it on my burning eyelids in the burning I had all morning was gone. A neutral path friend that I shared what happened to my face told me that she’s 50 she looks like thirties and everybody comments and she has been doing baking soda paste for 20 years. Now if something alkalizes the acid I would think that it also would help with the aging process. Hope this helps. In my case the underlying rid of the Clarisonic was very low oxygen in my body show an autoimmune with also thyroid. I wished it would work for me but way too sensitive what was brewing inside. It’s taking me over 9 months to get my insides straightened out into hives leaving my face with the baking soda has been a huge help. For the longest time I couldn’t even do aloe vera because it would burn the only moisturizer that didn’t was Vaseline. No I am doing organic coconut butter mixed with holy basil Tulsi and I totally love it. Very medicinal.